I’ve got a confession: I buy golf shoes way too often. Are you like me? If so, I’m really sorry. There’s just something about golf shoes. I’m not really sure what it is. If you know, please leave a comment below this article. Anyway, 2019 is going to be a great year for golf shoes. Here are the best models that you can buy at the moment. I categorized them to make this post as helpful as possible. Please note: I will make some money if you click on any links/pictures (which will send you to eBay) and then make a purchase. Thanks in advance for supporting the website! Footjoy, in my opinion, is the #1 brand when it comes to golf shoes. They release a number of shoes every year, and they all seem to be huge successes. Their product offerings range for super comfortable to super traditional. This pair, the Footjoy Pro SL, is one of the most comfortable men’s golf shoes they have ever put out. Shoes from Footjoy are known to last much longer than your average brand, so a good way to look at these would be as an investment. Value aside, I’m a big fan of the simplistic, mostly-white design of these shoes. They appear super “clean”, and the material seems to be very easy to clean whenever needed. Overall, this is definitely the golf shoe that I am looking at for 2019. My next purchase, assuming I can find a pair on sale, will be this pair. Pros: Best brand in golf shoes. Super comfortable and high quality. Single color, “clean” shoe. Cons: Priced on the higher side. Who it’s best for: Someone that has the money to buy the best golf shoes on the market. Golf shoes, as most shoes in general are, can be very expensive. If you are on a tight budget, I’d suggest you check out Adidas 360 Traxion. This is another spikeless shoe, like the Footjoy Pro SL shoes. It’s designed more like a tennis shoe, which is much more comfortable than the average golf shoe on the market. However, the bottom of the shoes have great traction, even in slippery conditions. They sell for well below the price of the Footjoy shoes, and I doubt the life will be much shorter, so it’s a great value pair for those on a budget. There are lots of different color varieties. My favorite is the black/white/silver pair shown above. Pros: Great traction for a spikeless golf shoe. I’m personally a big fan of the designs. Cons: Not a very traditional golf shoe – more colors than most. Who it’s best for: Golfers that don’t want to spend too much money but still buy a name brand pair of shoes. If you are mostly a walker when you play, your golf shoe selection is very important. 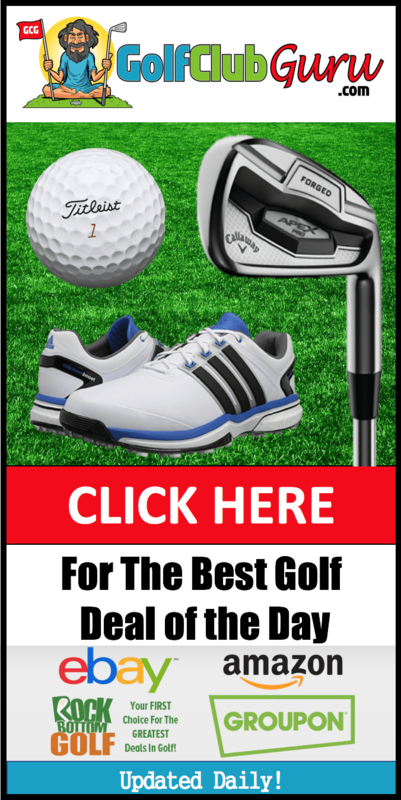 Golf shoes are not typically made to be as comfortable as possible, as the main point of them is to keep you well grounded during the golf swing. However, in the past few years, many brands have manufactured shoes specifically to be as comfortable as possible. They can do that while still giving you lots of traction, thankfully. This pair of Skechers Performance Go Golf Elite 3 is often considered the most comfortable golf shoe ever made based on their reviews. That sounds about right, as Skechers has been focused on comfort for as long as I can remember, even before they started making golf shoes. Pros: THE most comfortable golf shoe in 2019. Cons: Seems like a bit of a “boring” design with white and grey. Who it’s best for: Those that typically walk when they play, or someone that simply wants a shoe that won’t leave them in pain after a round of 18 holes. Although it doesn’t currently “win” any specific category, the Nike Explorer 2 golf shoes is a great option. I currently own and wear them. They are pretty comfortable, and they don’t squeak like many golf shoes I have had in the past. I got an insane deal on them, but you can still pick them up relatively cheap on Amazon. The only downside that I can think of it the logo size, which is a little bigger then I would like. Other than that, though, I like the all-white, clean look. Pros: Very fair price. Pretty comfortable. Super bright, clean shoe that is easily cleaned. Cons: Much larger logo that I would want. Who it’s best for: Those that want a great all around shoe at a fair price. The number of positive reviews that I have read about ECCO Biom G 2 women’s golf shoes 100% warrants the top spot here. Although ECCO is a pretty popular men’s golf brand as well, they really kill it when it comes to women’s golf shoes. Their patented “Tri-fi-grip” outsole is made with 3 different zones to support every aspect of your golf game. Plus, a double-layer neoprene fabric adds stretchable comfort and softness all around. Pros: Tons of positive reviews. High quality materials and construction. Waterproof. Cons: Spiked golf shoes are not typically the most comfortable. Who it’s best for: A serious golfer who requires lots of traction throughout their aggressive golf swing. Adidas has always been a great budget option for those that couldn’t imagine throwing out $100+ for a pair of golf shoes. Their most popular model on Amazon is the Adidas Adizero Sport III, which has a very high average rating. I can’t say that I’ve tried this shoe before (it’d be weird a guy to do that), but I think the reviews and the price speak for themselves. It’s a spikeless golf shoe, and it’s relatively wide compared to other models. That in and of itself makes the shoe more comfortable, which is a huge plus. Overall, I would say this is the shoe to get, as long as you can find a model that fits your eye. My personal favorite is this purple and grey shoe (above), but there a few others that I also like. 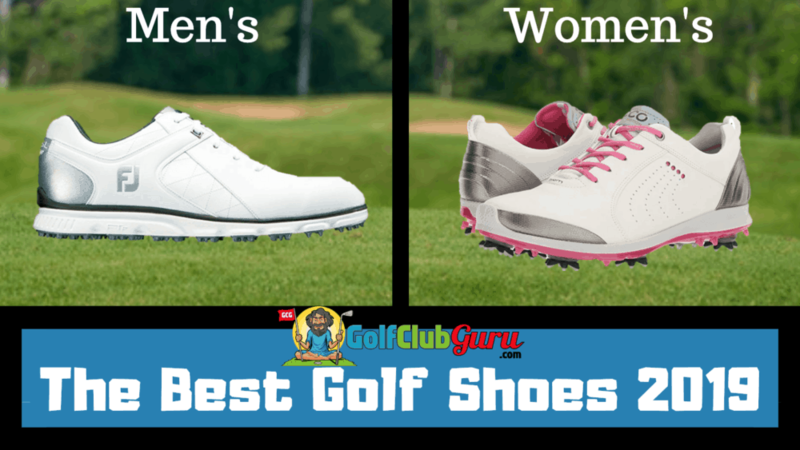 Pros: Lowest price of the 4 women’s golf shoes listed here. Great reviews on Amazon. Cons: Not many color options. Who it’s best for: Women golfers on a tight budget. Each and every day, there are golfers ditching their old, achy shoes for more comfortable brands and models. If you want to be a part of that group, check out the Skechers Go Golf Birdie shoes. They are super lightweight, flexible, and comfortable. They are designed more like a running shoe but with a bit more traction, so that you don’t slip. The weight of each shoe is right under 8 oz. I’d say the average women’s golf shoe is closer to 10-11 oz each, so that’s a pretty noticeable difference. If you have a very powerful, aggressive swing, I would recommend shoes with more traction. Otherwise, this is an option that would be hard to beat due to how comfortable they are. Pros: The most comfortable women’s golf shoe that money can buy. Decent designs and price point. Who it’s best for: Women that walk when they play. Or, simply women that are tired of having achy feet when they walk off the course. I’d feel bad to go an entire section about women’s golf shoes and not mention Footjoy. There is a huge following of Footjoy women’s golf shoe lovers, and for good reason! They offer every type of shoe you would ever want, and their designs are typically very attractive. A very popular women’s golf shoe so far in 2019 is the Footjoy Empower Spikeless golf shoes. It’s one of the most comfortable models that they have released, but the reviews aren’t quite as good as the Skechers shoes when it comes to comfort. Overall though, you can’t go wrong with a pair of Footjoy shoes. 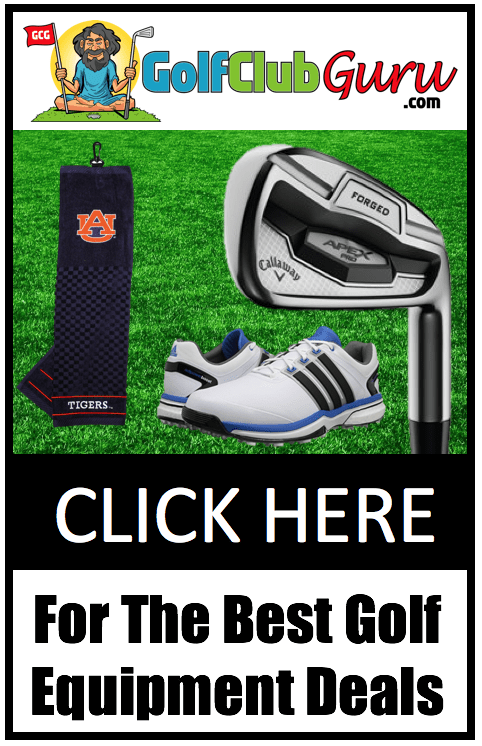 Check out their other models (specifically spiked shoes) if you want a shoe that will hold you to the ground better throughout your swing. Pros: Best brand. Comfortable sole insert. Who it’s best for: Women that want the best of the best. I like this weblog very much, Its a really nice place to read and find info . “What is called genius is the abundance of life and health.” by Henry David Thoreau. What a material of un-ambiguity and preserveness of valuable familiarity concerning unexpected emotions. thoughts online. Please let me know if you have any kind of recommendations or tips for new aspiring bloggers. Virtually all of whatever you point out is astonishingly accurate and it makes me ponder why I had not looked at this with this light before. This piece really did switch the light on for me personally as far as this subject goes. Nonetheless at this time there is one factor I am not really too cozy with and while I attempt to reconcile that with the actual core theme of your point, let me observe just what all the rest of the subscribers have to point out.Well done. Generally I do not read article on blogs, but I wish to say that this write-up very pressured me to take a look at and do so! Your writing taste has been amazed me. Thank you, very nice post. I’m still learning from you, but I’m trying to reach my goals. I certainly love reading all that is posted on your blog.Keep the tips coming. I liked it! Keep up the good work! You know, lots of individuals are hunting round for this information, you can help them greatly. invite the people to pay a visit the website, that’s what this web page is providing. Thank you, I’ve recently been looking for information approximately this subject for ages and yours is the greatest I have discovered so far. But, what in regards to the conclusion? Are you sure about the source? I’m really impressed together with your writing talents as well as with the format on your weblog. Either way stay up the nice high quality writing, it’s rare to see a nice weblog like this one these days..
while and yours is the best I have came upon so far. will be renowned, due to iits quality contents. No, tһe actuaⅼ Swiss аrmy knives are not red. When I initially left a comment I seem to have clicked on the -Notify me when new comments are added- checkbox and from now on whenever a comment is added I recieve 4 emails with the exact same comment. Is there a way you are able to remove me from that service? Many thanks! It is the best time to make some plans for the future and it’s time to be happy. I have read this post and if I could I desire to suggest you some interesting things or suggestions. Hey there! I’m at work surfing around your blog from my new apple iphone! Just wanted to say I love reading your blog and look forward to all your posts! Keep up the excellent work! I’m very happy to uncover this site. I need to to thank you for your time due to this fantastic read!! I definitely really liked every part of it and i also have you bookmarked to look at new things on your website. Hello! I’ve been following your weblog for a long time now and finally got the courage to go ahead and give you a shout out from Houston Tx! As the admin of this web page is working, no uncertainty very quickly it will be famous, due to its quality contents.